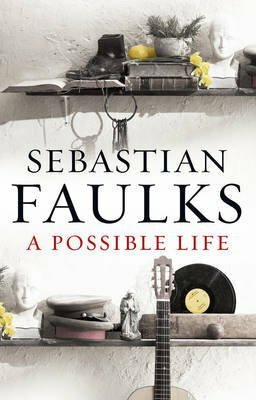 Sebastian Faulks is well known for writing beautiful historical fiction, but A Possible Life reaches beyond this, to something altogether more profound. The novel weaves together five apparently separate stories. Beginning with the tale of a young prisoner in the Second World War, and the enduring trauma this experience causes him, and moving on to a boy who is sent to the workhouse in Victorian London when his father can no longer provide for his family, readers would be forgiven for not initially recognising the connections between these tales. It is only as the book continues, moving on to the futuristic story of a young girl studying the science of human consciousness, followed by the uneducated woman in France and her struggle with faith, and finally the rise and fall of a talented young musician in 1960s America, that the novel comes together. Featuring a cast of complex characters set against a series of well-rendered backdrops, A Possible Life is a celebration of individual experience, of lives throughout the ages. It is also an exploration of love, faith, and the struggle to find meaning within the limited parameters of human experience. This is a deeply moving novel from one of the best writers of modern fiction.